If you are running a hospitality business, most probably you are using some kind of hotel PMS that helps you with everyday operations. However, systems tend to get outdated and sometimes stop improving. This leaves you with the product which once used to be a great help but now turned but to the anchor that drags you down. From my experience I know, that some people tend to accept this downgrades of the system and just expect for the best. However sooner or later comes a time when you have to make a decision of changing your hotel PMS. This decision is not very easy because it affects many parts of your work starting from the management decisions and ending with the front-desk. What factors are showing that it’s time to change your system? You are spending more time than usual with manual data exchange between your system and online sales channels. This can happen if your system does not have integration with OTAs or GDSs. You are spending more time with management operations. The system can easily take care of this. 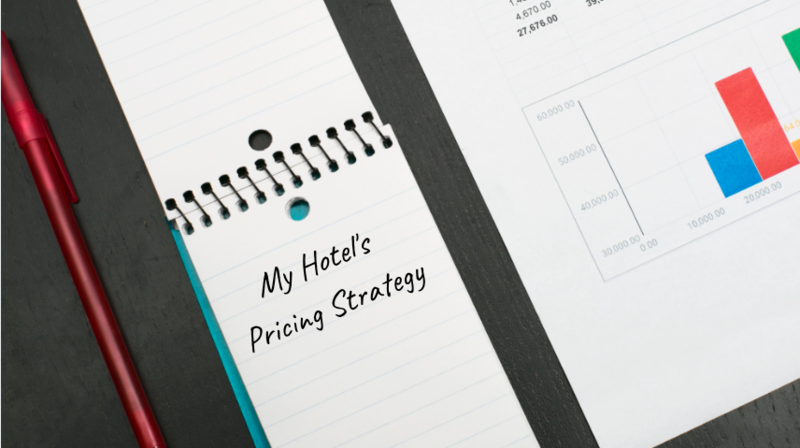 For example price planning, availability updates, communication with guests, report preparations and etc. Due to the lack of integrated booking engine or synchronisation with OTAs you are losing online sales. Your system is not flexible in the location point of view. Meaning that you can’t do anything with it unless you are at your office or reception desk. You get concerns that your data is not stored safely or you can’t access it at ay time you need. When you need it most, the system gets slower due to the heavy load. For example at the day peak hours when the most check-ins or check-outs are happening. You are not receiving any customer support from the system provider. To sum up - the system is becoming a burden and not help to run your business. When you finally made a decision, that you actually need to find a replacement for your current system, you most probably going to have some concerns that will stop you from immediate change. Can you afford to switch to a new system? New does not necessarily mean more expensive. Mostly if you will choose to go ahead with could based solution which has a principle of pay-as-you-go. It means that they are charging on monthly bases and you don’t need to pay for a year ahead or make long-term contracts. Cloud-based solutions are cheaper also in a way that you will not need to pay extra for installation, updates, backups and other technology related things. Do you have enough time for switching? It is no secret that change of the systems will require some time from you and your staff. Not only with training but with whole preparation process as well. You have to find the best time for system switch. Focus on off-season period when the flow of guests is not so big. Also make sure that employees, who will be using the system are not on holidays when training is happening. Do you have enough technical knowledge? You don’t feel like much of a computer geek? No problem, because most of the cloud-based systems are very user-friendly. Plus the whole technical support is being maintained by the system provider. All that you will need to know is just a very basic system features that will be used in daily operations. Can the new system integrate with other systems? Mostly all cloud-based systems are flexible or already have integration with other systems like Channel managers, Internet booking engine providers, POS systems, E-mailing services… The perfect choice would be to find a hotel PMS which has all in one so there is no need for separate integrations. Is your data going to be safe online? The answer is yes because all cloud-based solutions have necessary security measurements and required certificates. If you already made sure that none of the above-mentioned concerns is bothering you, you can start the searching and selection process for your new hotel PMS. You will be overwhelmed by the number of choices what you will get after entering ‘Hotel Management System’ in the browser’s search field. There are so many different systems out there, so how to make a right decision? First of all, you need to know your business and what exactly you expect from the system. Some PMS that you will find will be designed for slightly different accommodation providers. Some of them will lack features that are needed in your everyday processes. If you already feel your current hotel PMS as an anchor dragging your whole business to a wrong direction (down), it’s really time to think about changes. Yes, it can be hard to say ‘Good-bye’ not just to the system itself but also to the ways how it used to work. In time you shape your processes and operations so changing them can be a real challenge, especially if you don’t plan well and decide to make this step in the middle of the peak season. In order to prepare you for the smooth change, we offer you to read the second part of this topic "When the time comes to change your hotel PMS. Part 2" which is soon to be out. So make sure to follow our blog.